Keyboarding Awards: 5th - Aaditya, Rhew, Natara, Maddie, Whitney, Emily, and Colton. 4th - Milo, Tommy, Nicholas, Lily, Nick, Judson, Andrea, and Kessler. 3rd - Alexa, Ian, Rylee, Reese, Nia, Lucy, Braden, and Anthony. Congratulations! If you're bored and looking for something interesting to do or learn, explore this website or try one of these sites. Come back often, as I'll continue to add new sites as I find them! 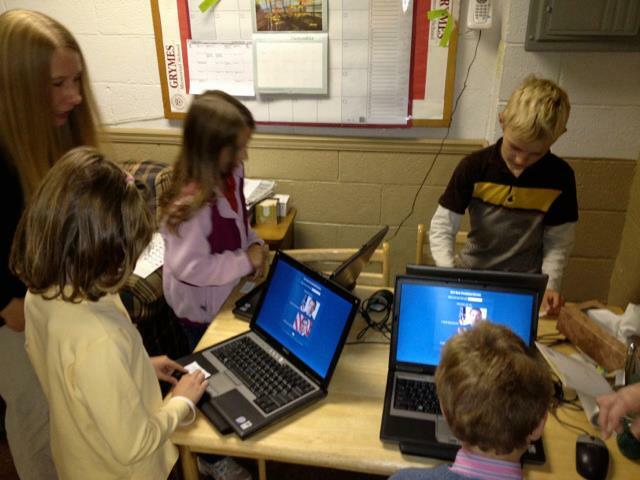 The third grade class made memory books using BiteSlide. 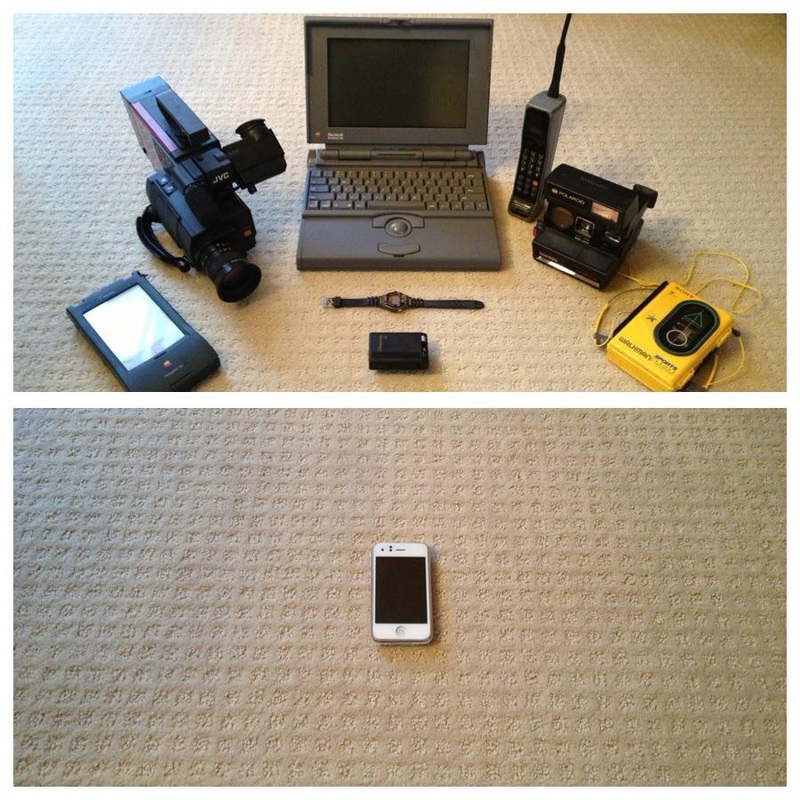 Click here to see all the memory books. Here's a Mother's Day Tribute created by the 2nd Grade. They wrote the lyrics and performed the song. Click to access the Helping Hands website. One of our very industrious 5th graders decided to create a website called Helping Hands. In her own words, she describes why she created it... "I've always felt bad having everything I need and knowing that there are some people that are not as lucky out there that needs my help. I soon decided I should make a website to help these people and make a difference in any way I can. There are easy ways to make a difference in your community and planet easily every day. From recycling to going on freerice.com for fifteen minutes a day." Please visit Helping Hands to see how you can make a difference! Help the fourth grade raise money to give African school children clean water! Purchase your Virginia Bluebells for School Bells at the carpool line or at the front door. $10 for a 2 quart native perennial. 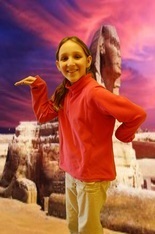 The 5th grade used Paint.NET to superimpose themselves onto a picture of a famous historic site. They wrote an article about a fictitious field trip to accompany the photo. Click here to see all the Travel Into History projects. What a beautiful sunset, pink, purple, blue, orange, more pink. That’s what I came here for anyway, I saw some pics of Egypt and there were some beautiful sunset backgrounds. Somehow everyone’s instructions drove me here. People kept saying go left, go right, go south and cross the Nile River. I ended up in Giza the town in which the Great Sphinx of Egypt is located. The Sphinx was a memorial for Pharoah Khfare. Pharoah ruled in 2558 B.C-2532 B.C (over 4,000 years ago). It’s 65 feet tall (20m), 260 feet long (57m) and 20 feet wide (6m). It’s humongous! It’s the largest single stone sculpture in the world. It’s only one giant piece of lime stone, cut and scraped until it became the Sphinx that we know today. The stone was originally a memorial for pharaoh Khafre, also part of his funeral service. The Sphinx was made facing due east, facing the rising sun to represent the circle of life and so show the end of the day. A Sphinx is a creature with the body of the lion, head of a women and wings of a bird. The Egyptian Sphinx had the head of a man. My hand raised into the cold classroom air. The words can I go to the bathroom, calmly escapes my mouth. Out of the room I fly ready to tackle ancient Greece. Out the door I fly the crisp air collapsing over my face. In minutes the calm Atlantic comes into view. Then Spain then Italy and finally over Mount Olympus in Greece. I fly down to the mountain and my feet hit the ground. I cautiously walk over to Zeus`s house. He comes to greet me and ask me why I came. I told him that I was from modern day America. I told him that I was struggling with ancient Greece in history. He said that he would be happy to help me. He told me about the time when Paris took Menealaus`s wife and how it started a long and tragic war. He also told me about the dark ages, aristocrats, and Sparta. He said he was the father of the gods and the ruler of the universe. His other story was when his grandfather Uranus got stripped of his rule by his son Cronus also to be known as Zeus`s father. He said that he stripped his father of his rule and became the ruler of the universe. Then he introduced me to his wife and sister Hera and told me that it was a family habit to marry a family member. After that I told Zeus that I had to go and I thanked him for his help. Out of Zeus`s house I flew and out of Mount Olympus I went. The other gods look at me in confusion as I speed out. In a matter of minutes I`m back home in Virginia and back at school. I nervously walk through the door and Mrs. Keating greets me. I walk down the empty halls and back into class. Mr. Pitera ask`s me what took me so long and I hazardly reply, I had an upset stomach. Luckily he said I was back in time for the quiz. The next day when Mr. Pitera hands me my quiz there is a big red A plus. And that’s my history class escape. The Kindergarten class demonstrated their knowledge of the seasons by doing a Pixie activity called "Trees in Season". Click here to see all the drawings. Seventeen 7th and 8th graders, Tyler Houston, Lee Berry, and LeeAnne Houston have embarked on their trip to Italy for Spring Break. Please click on the links below if you'd like to take a virtual trip with them. The second grade is learning about China in social studies and pandas in science. They made these awesome Blabberize pandas in computer class. Click here to take a look at all the talking pandas and learn some cool facts.about pandas. One of my favorite things at Grymes is to walk down the hall and look at the students awesome artwork. Mrs. Houston always selects such interesting projects, many times supporting what the students are learning in the classroom. 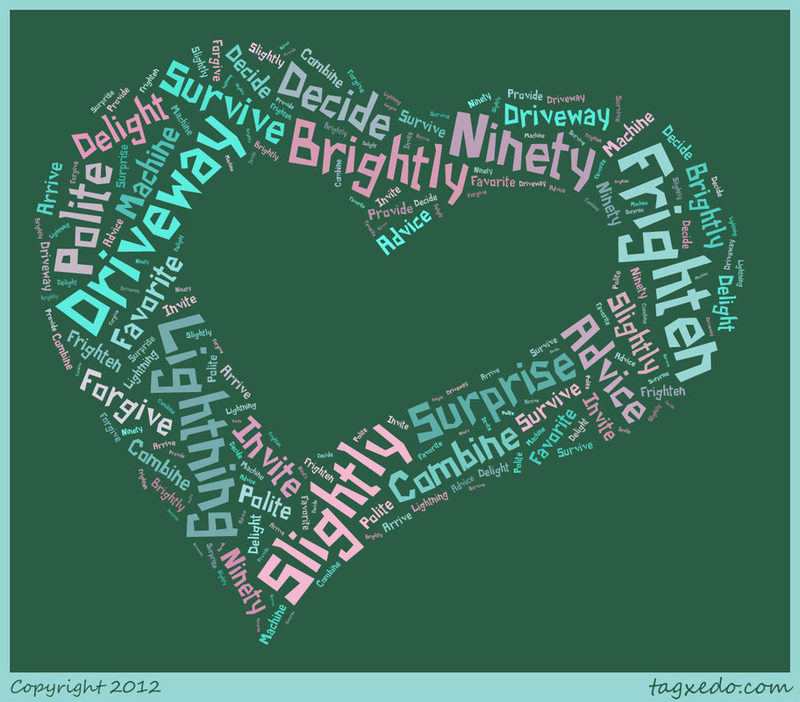 I randomly picked a few from each grade to share with you in this Animoto. Bravo to Mrs. Houston and all the kids. Enjoy! Reese's amazing video game - Click on the image below. Then press the Space Bar to start. The Crab follows the mouse pointer. You get a point when Crab gets Scardy Cat. You lose a point when Crab touches the side. Ally's awesome animation: Click on the image below. The ballerina follows the mouse pointer and does flips! Click on the image below to see all the first grade snowflake poems. and its first chapter is New Year's Day. Click on the image below to see all the second grade snowflakes. 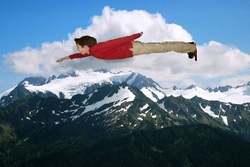 The 5th grade is learning how to use the chroma key and layer features of Paint.NET. Here are their super-cool superimposed photos. Aaditya spent a month in India. Take a look at his blog and see what he did and learned on the trip. The 3rd grade class created journals in writing class of fictitious people from Jamestown in the 1600s. They took the journals and turned them into "blogs". Click here to see all the blogs. 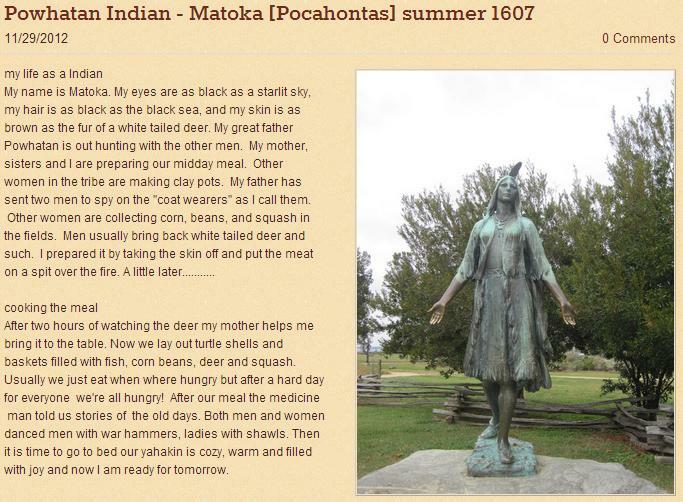 Below is one entry from Nia's blog of a Powhatan Indian. Click on the image to read the rest of her blog. Click on the image to read the rest of Nia's blog. students had to use their vocabulary words to create a story using Storybird. The Second Grade took a field trip to Luray Caverns. They used Pixie to draw a picture of their trip. In cass they wrote about it. Then recorded it as narration for their picture. Click here to see them all, as well as photos from their field trip. The fourth graders each selected a Western European Country in which to do research. They used the information to create online multimedia posters using Glogster. Click here to see all the posters. The third graders used Microsoft PowerPoint to create some Shapes Games for the Junior Kindergarten and Kindergarten classes. Click here to see them all. Grymes Mock Election Results Mirrors Nation! Take a look at the beautiful quilt squares the First Graders created using Investigations in Math Shapes software. Come back next week to see the one's from the other half of the class! The 3rd grade made name plates to put up in the Computer Lab. They used Spell with Flickr - a fun little tool that spells the word that you enter using Flickr images. The Second Graders carved pumpkins to match their Jack-o-Lantern poems that they wrote in class. They used a couple of fun, free, online apps. 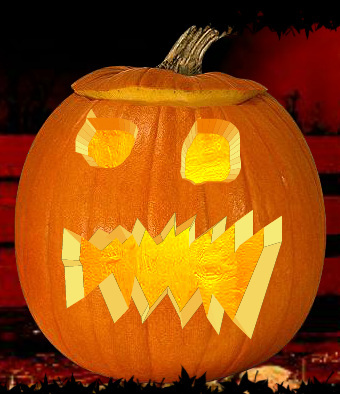 Click on the image below to see their pumpkins with their poems. 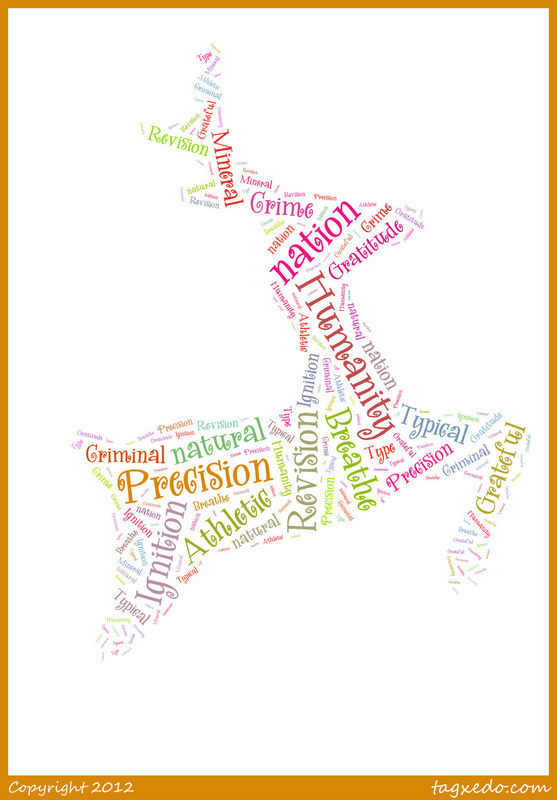 The students used Tagxedo to turn their Spelling Words into a word cloud. 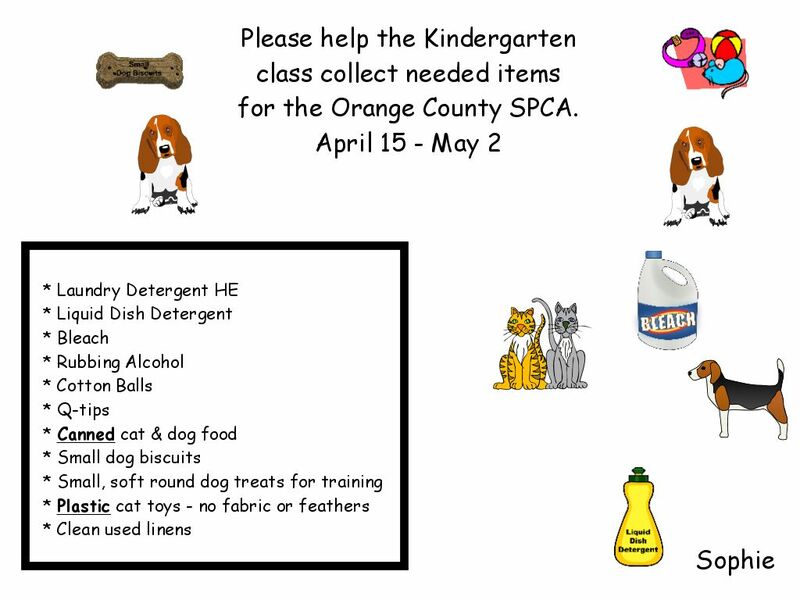 Click on the image to see the work from the entire class.